Proudly operating the gold standard. 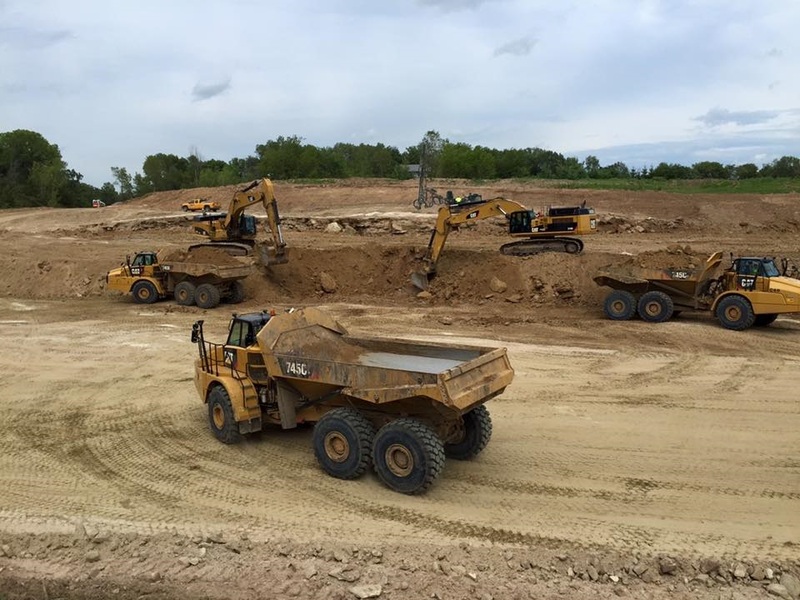 We own and operate a fleet of more than 125 Caterpillar machines, the gold standard in heavy equipment. Delivering performance you can rely on. From our full fleet of Caterpillar equipment to our highly-trained field personnel, we outfit our crews with state-of-the-art G.P.S. technology. One great fleet deserves another. 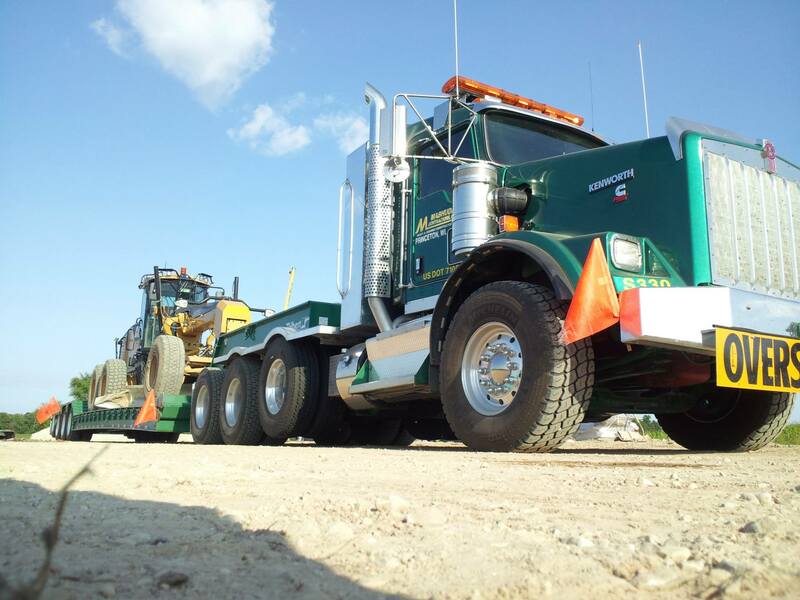 From transport to service, we utilize a full fleet of support equipment. 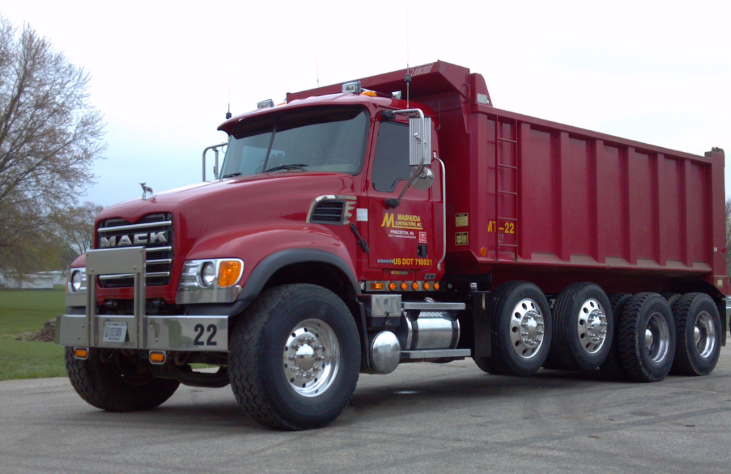 Proudly operating the gold standard in heavy equipment. 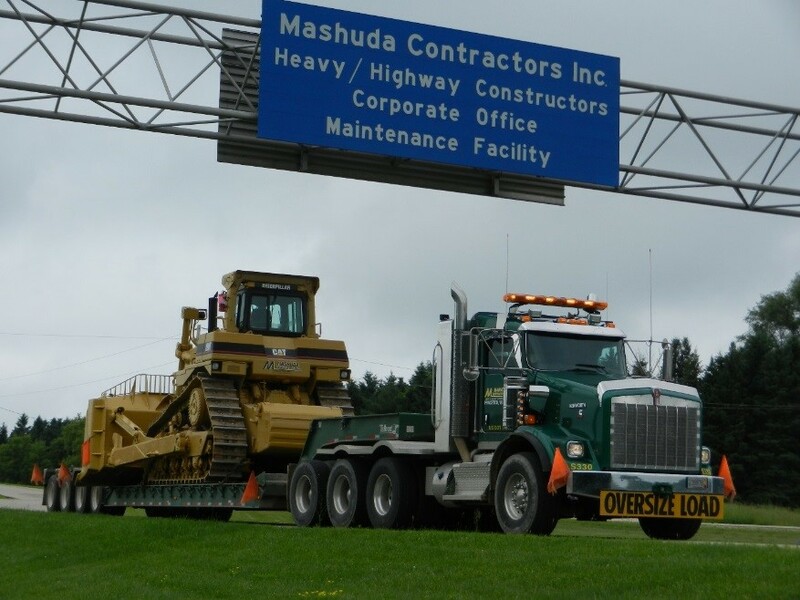 At Mashuda Contractors, Inc., we know that to take on the biggest jobs, we need the best equipment. That's why we own, operate and maintain our entire fleet of over 125 Caterpillar machines; the gold standard in heavy equipment. 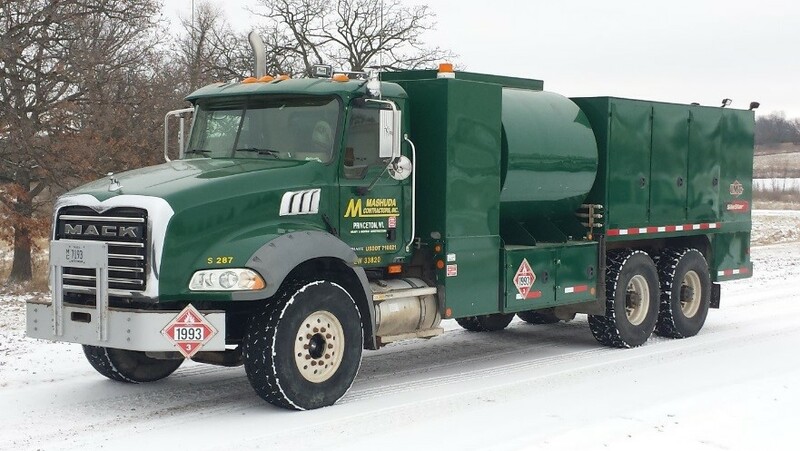 While we're proud of our fleet, we know that equipment is always evolving. For those reasons our equipment experts work tirelessly to find, purchase, and improve our fleet each year. Rest assured that with many different sizes and configurations available, we have the right machine for virtually any job. 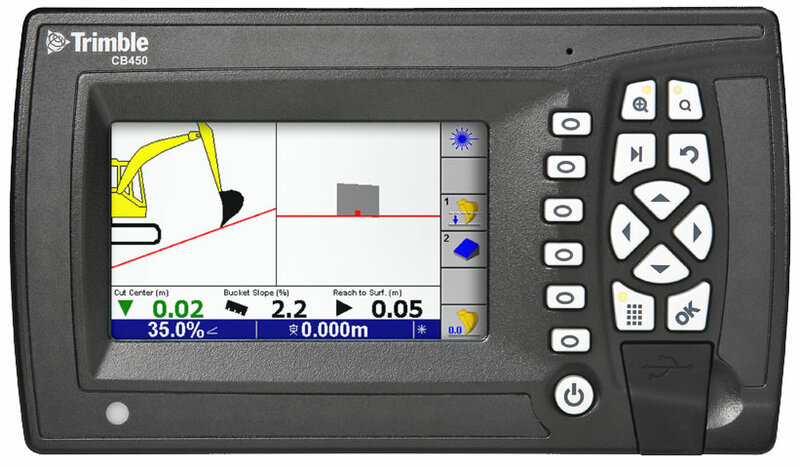 In addition to fantastic performance and selection, the majority of our finishing machines are equipped with state-of-the-art Trimble Operating Systems, ensuring precision, efficiency and accuracy on each and every job. Couple that with excellent operators, and you have a real world-class operation capable of taking on some serious earthmoving projects. Click on photo to open Support Equipment Gallery. Click on photo to open GPS Gallery. 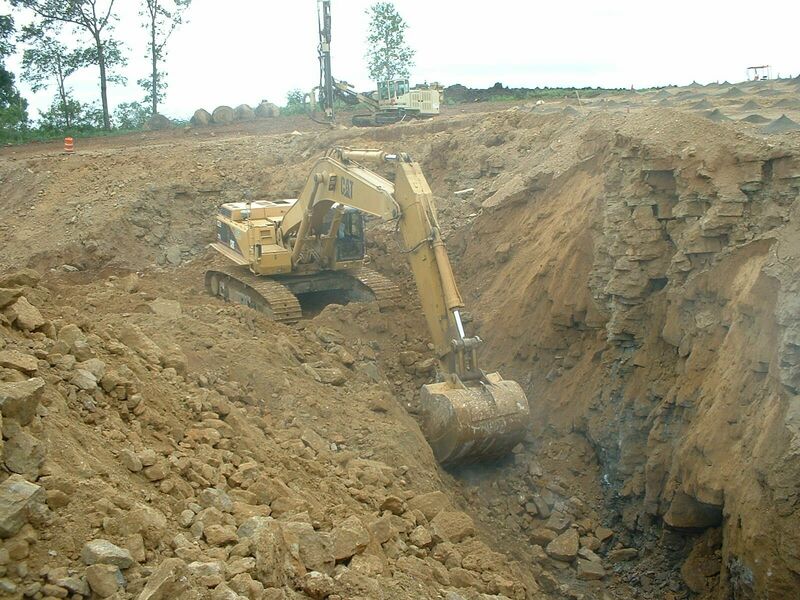 Click on an image below to view heavy equipment at work. Tough work demands a full fleet of transport and service vehicles. 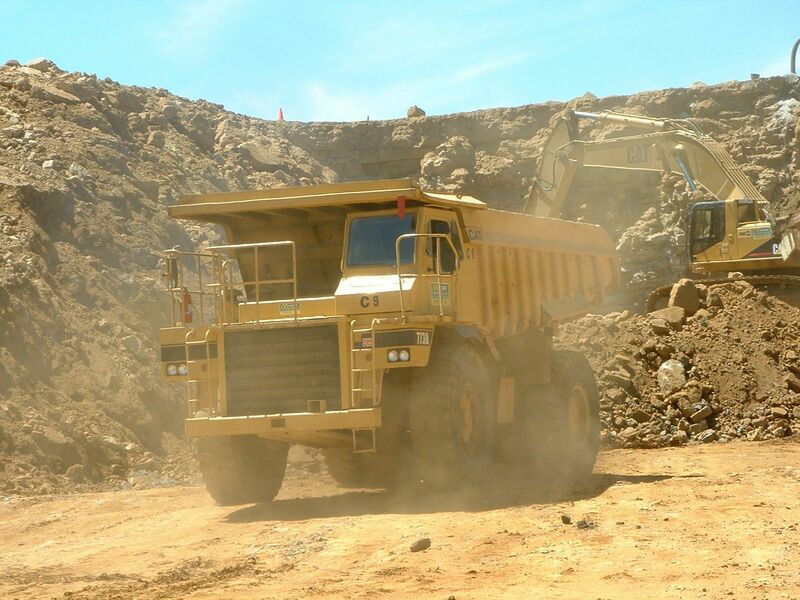 A heavy earthmoving fleet can't operate without great support. Transport, service, and maintenance are key to staying efficient, productive, and on schedule. 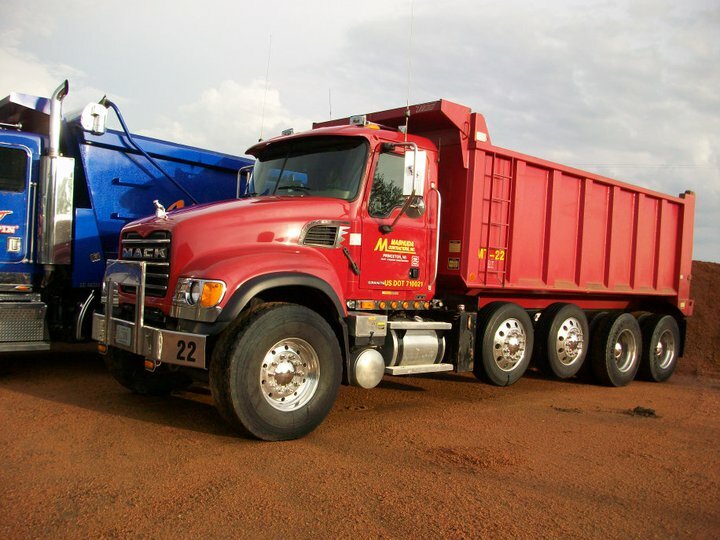 Just as our heavy equipment fleet is the gold standard, our service fleet is top-notch. 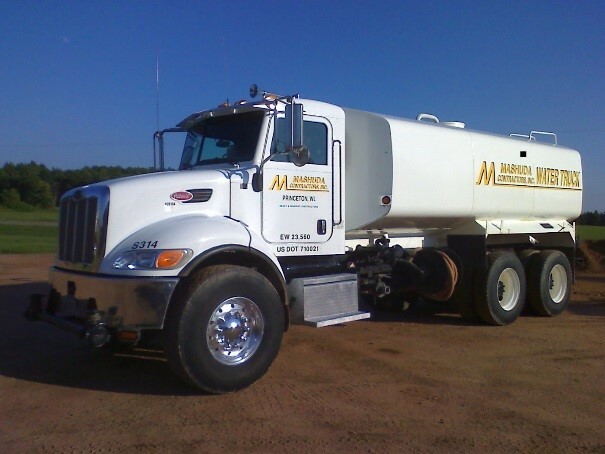 At Mashuda Contractors, the time-tested names of Mack, Kenworth and Peterbilt can be found on our fleet of on-road tri-axle and quad-axle dump trucks, semi tractors, dust control trucks, equipment service trucks, and lube trucks to name a few. Click on an image below to view photos of support equipment. Accuracy and efficiency are the keystones to success in our industry. 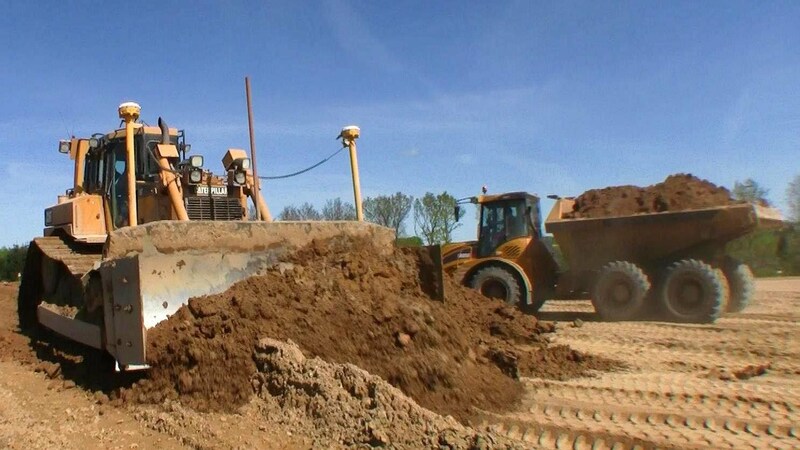 By utilizing GPS equipment, we can ensure that all work is being completed with incredible accuracy - and as a result, efficiency and production follow suit. That's why each and every project we undertake is first built into a 3D model in-house. This process allows us to foresee any potential bottlenecks in construction operations, and adjust the design accordingly before it ever reaches the field. 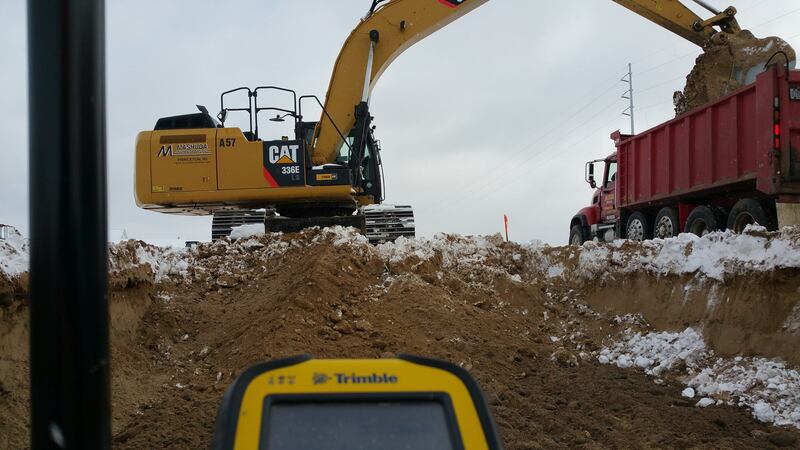 Next, when the model is ready, it is programmed into Trimble's state-of-the-art mobile rovers for on-site project management, site foremen, and survey teams to use in the field. 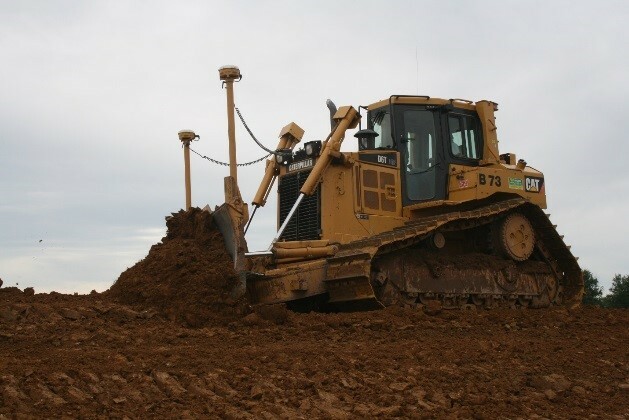 But it doesn't stop there, we also program the 3D models into a wide variety of our finishing machines and other heavy equipment sporting Trimble Operating Systems. 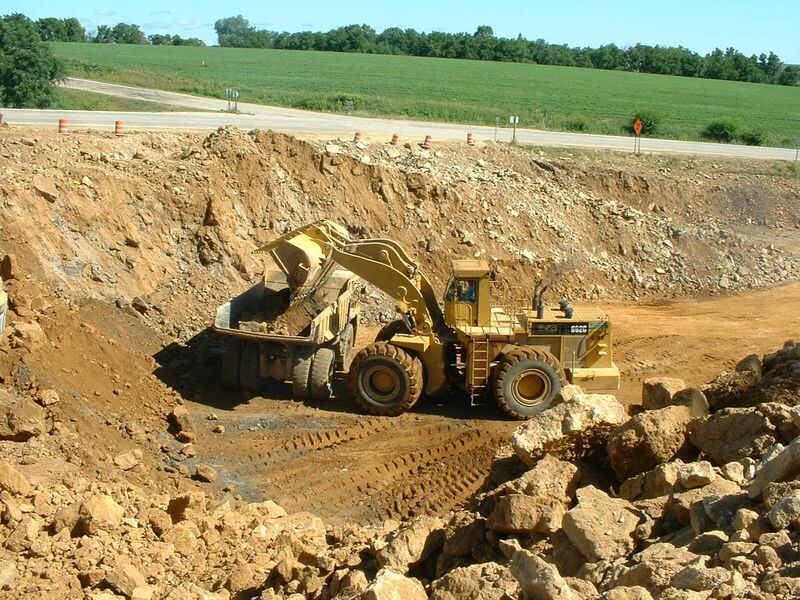 This is a game changer as it allows our heavy equipment operators to grade, shape, and excavate with extreme precision. In all, our GPS capabilities ensure that crew members are on the same page throughout the project, and are operating at a very high level. Click on an image below to view photos of GPS equipment.